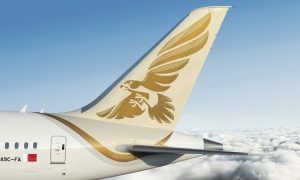 Gulf Air, the Kingdom of Bahrain’s national carrier, is gearing up for the arrival of the airline’s first Boeing 787-9 Dreamliner aircraft which will be delivered to the airline in April 2018 and will operate the its long haul routes, gradually replacing its Airbus A330s. 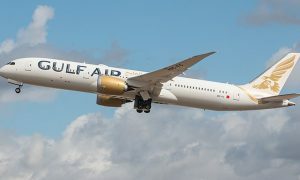 A total of 5 Boeing 787-9 Dreamliner aircraft will have entered Gulf Air’s fleet by end-2018 with an additional 2 aircraft arriving by end-2019 and 3 arriving by end-2020. 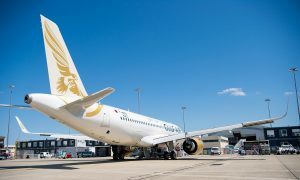 “We are 12 months away from welcoming the Boeing 787-9 Dreamliner to the Gulf Air fleet, a historic moment in our trajectory and yet another important step in our strategic direction towards furthering Gulf Air’s fleet modernization process and supporting our network and overall passenger experience enhancement strategies. The industry-leading technology of the Boeing 787-9 Dreamliner boasts superior fuel efficiency, environmentally friendly operations and range flexibility that will facilitate Gulf Air’s planned network expansion and fleet optimisation at a lower operating cost.